The absence of female directors from the 22-strong competition in Cannes this year is a “great pity”, but reflects a global problem rather than sexism specific to the world’s biggest film festival, jury member Andrea Arnold said on Wednesday. The British film maker, who has won acclaim in Cannes for “Red Road” and “Fish Tank”, is one of nine jurors who will decide which movie wins the coveted Palme d’Or for best picture at the end of this year’s festival. 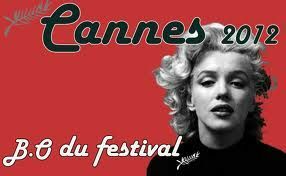 The fact that it cannot be a woman — all competition movies this year were directed by men after four women featured in the main lineup in 2011 — has led to accusations of sexism in the French press and further afield.